We weren't in the coach when it crashed. It was 3.15pm when the driver lost control of the wheel. Twenty-eight pupils and two teachers went tumbling over the cliff-face into the ravine. I wish I was there with them. It would have been a nicer way to die. 16-year-old James and his step-brother Henry are the only survivors in a horrific coach crash that kills their entire class. And James knows the nightmare has only just begun. For Henry hates James, bullies him in secret and has promised to kill him one day. Traumatized by the crash and stranded in the French countryside, the boys run to a nearby deserted mansion in search of help. But for James the desperate quest to be found soon turns into a ferocious battle for survival. Henry has trapped him in the house and over the next 48 hours James is forced to play a chilling game of cat and mouse - with a violent and terrifying climax. Start reading A Nicer Way To Die on your Kindle in under a minute. "'A fresh voice, brimming with character and colour. The opening scene is one of the strongest I have read in a long time. It is quite an achievement to write something that is both horrifying and a hoot.' Matt Whyman, author of Boy Kills Man"
A shocking, tense psychological thriller that explores brutality, love, wisdom and hatred. An unputdownable page-turner that will have readers on the edge of their seats. 4.0 out of 5 starsReplacement for school. I think it's a good book. Bought to replace a book that my son lost after borrowing from school library. The librarian didn't complain so I can only guess it is good enough! So many things to like. Very much a rollercoaster of emotions, confusion and angst. Did get annoyed by both central characters but felt that to be part of the journey. A 'cut above the rest' where Young Adult fiction is concerned, if you pardon the pun. Dark, thrilling, intelligent, gripping, and ultimately, interesting. It is a shame Sam Mills doesn't get the attention she deserves, for her books are intense and terrifying, but at the same time, she doesn't water her novels down, try (and fail) to be 'down with the kids', like quite a few YA authors, and she most certainly does not write in a patronizing voice. Instead, her books are left with something very real, very serious, and an absolute twisted pleasure to read. One of the things that attracts me to her work also is that she is a female author, and yet she doesn't write superficial garbage that isn't worth the pulp it is printed on, which seems to be the case with most female YA fiction writers these days, though there are a few other brilliant exceptions. I would just hope that people wouldn't be put off by the grundgy, boyish looking cover, for underneath is a real gem of a book, suitable for adults as well as young teenagers, and for any gender. 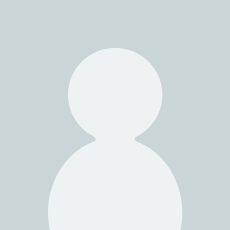 5.0 out of 5 starsIs it Kazio Ishiguro? If you found William Golding's 'Lord of the Flies' enjoyably disturbing read this. 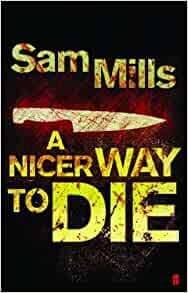 'A Nicer Way to Die' by Sam Mills is closer to the reality of teenage boys' lives today. One boy feels fear, approaching terror at times, but coexisting with admiration or even love for an older boy. You get to see inside the mind of a bully and his victim. Increasingly horrific situations, as well as the tension created by the relationship of the two boys gets a firm hold on your emotions in the first few pages. The very first chapter has so much impact that you will be surprised to discover the tension actually increasing as the story progresses. It's as if William Golding has been reincarnated as Sam Mills and is looking through the eyes of our own generation of schoolboys. He finds those same primitive instincts for survival that can often result in cruel and unpredictable behaviour. This is a powerful piece of writing by Mills. If he can maintain this quality his books will join the great classics of our generation. Faber don't make many mistakes when they choose to publish a new author, and I can't fault their judgement with this one. But it may not be a new writer after all. Sam Mills is rumoured to be a pen name of Kazio Ishiguro. But whoever he is, this book is full of profound insight and a really great read.